What in fact, is a "reputable breeder"? 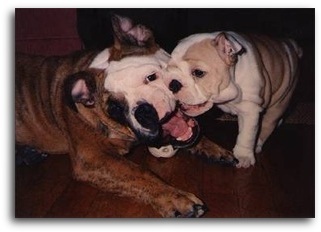 Because just about anyone can throw two dogs together and produce puppies, I have outlined a few guidelines for choosing a reputable breeder. Belongs to a national (and/or local) breed club. Abides by their breed club's Code of Ethics. Tests their breeding stock for any congenital diseases, conditions (ie: hip dysplasia, Von Willebrand's Disease, retinal dyslasia, etc. 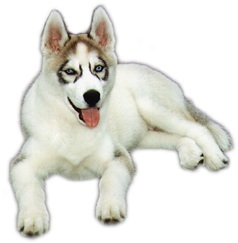 ), and strives to eliminate genetic problems by breeding only sound dogs (shown to be free of any serious physical conditions and/or temperament problems). Only breeds dogs that have excellent temperaments. Is very knowledgable about their breed. Strives to better their breed. Immunizes their puppies' Sires and Dams (& their Puppies) against: Distemper, Hepatitis, Leptospirosis, Parvo, Parainfluenza, Corona & Rabies. Educates potential owners, and discloses any pertainent information about their breed. Discloses info about (and abides by) "The Puppy Lemon Law". Encourages the neutering of all "pet quality" dogs (and all dogs that will not be shown in conformation). Spay/neuter contracts should be issued with the sale of all pet quality dogs. Offers new puppy owners guidance and support (for the puppy's entire lifetime). Shows, trials and/or titles their dogs. Supports or participates in breed rescue work whenever possible. Never breeds out of greed (and never over-breeds). Will take back a puppy or dog that doesn't work out. *A reputable breeder wants to know as much about you, your household, your schedule and your ability to properly care for a puppy (throughout its entire lifetime), as you want to know about the breeder's puppies. **Important Note: Many pet stores and puppy outlets tell prospective puppy buyers that their puppies come from reputable breeders, even though the large majority of these places actually get their puppies from puppy mills and second-rate commercial breeding facilities. The bottom line is: NO reputable breeder will ever sell their puppies to a pet store or puppy outlet, and NO pet store or puppy outlet will ever admit to getting their puppies from a puppy mill.